In this article you hear the voice of children against the Child Protection Services (CPS) – two girls who ran back to their mother after years of forced foster care and a little boy whose cries for his mother went unheeded. Also note the way the child who resists being separated from his family is drugged into submission by the system. This is also yet another story of Western CPS preying on mothers fleeing domestic violence. On Danish CPS, see also here, here and here. This article was originally published in the Sunday Guardian on 5 May 2018 with the title ‘A single mother who lost her children in Denmark‘ as part of their ongoing weekly series, Global Child Rights and Wrongs, in collaboration with this website, www.saveyourchiuldren.in. The series critiques the role of governments and NGOs in the child rights field. Maya hails from Iraq. She arrived in Denmark when she was 7 years old. “Denmark is the only country I know now. I have lived here my entire life,” she says. After a long chilling winter, the sun is shining and I can feel the warmth both outside and inside Maya’s house. After I have settled down in the sofa with tea, juice, almonds and cake in her nicely decorated drawing room, Maya tells me that her father went to school with Saddam Hussein. He had a degree in political science and wanted democratic reforms for which he was jailed in Iraq. He was pardoned after ten years in jail, and to avoid further political persecution, he took the whole family to Denmark. “We grew up in a wealthy area in the suburbs of Copenhagen called Solrød Strand. When I turned 16, my parents got me married in an arranged marriage. I was hardly prepared for marriage and the responsibility that comes along with it. I was still a child,” Maya explains to me, speaking in fluent Danish. Our conversation is almost entirely in Danish. Maya tells me that her marriage was an utter disaster. Her husband was 12 years older than her and of Middle Eastern origin. “I had no freedom, I could hardly go out of the house without his permission. I lived a miserable life, but I was so young and could not realize that it was actually an abusive marriage,” she said. She tolerated it, hoping that it might change after they had children. Maya had three children, two girls and a boy, born in the span of 4 years. One day, when her husband had beaten her and she had bruises all over her body, she finally made up her mind to leave him. Along with her children and taking her parents’ advice, she went to a shelter for women in the centre of Copenhagen called Dannerhuset. They sent her to another, smaller shelter at Lyngby in a suburb outside Copenhagen saying it would be “safer” for Maya and her children to be in an area far away from her husband. Within days of arriving in that shelter, Maya was confronted with the Child Protection Services of Lyngby. They first took the children saying they had to live elsewhere to start school again. Then Maya’s younger daughter, Sara, who was then 4 years old, was sent to a children’s home with 24-hour surveillance. The elder daughter Aya and her son Elias, who were then 8 and 6 years old, respectively, were transferred to a foster family. While I am talking with Maya her eldest daughter Aya, soon to be 17, comes back from school. Aya has much to tell. She starts speaking as Maya’s eyes fill with tears, “I have lived in 12 different foster families in a span of 6 years. One day I had enough, and ran away to come back to my mother”. Aya has now been living with her mother for two years. 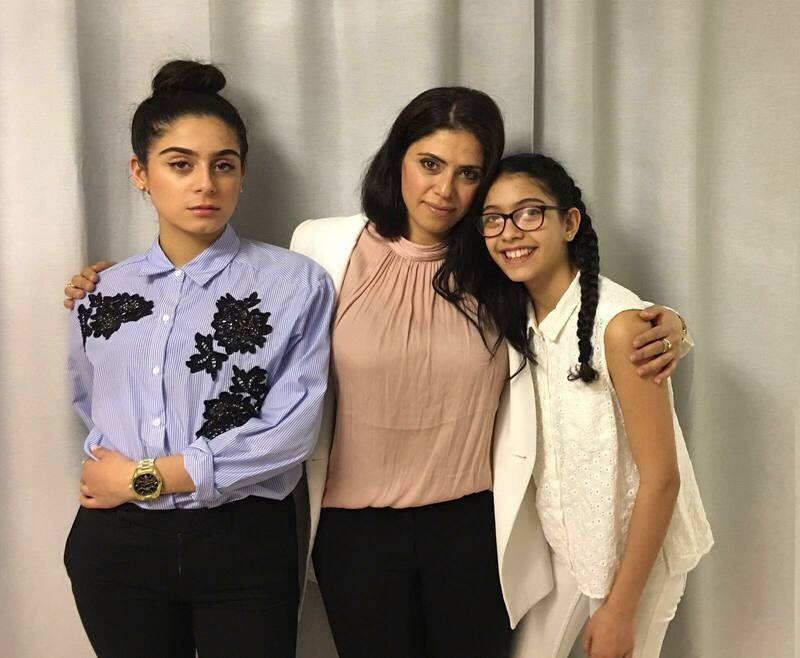 Aya says she is very angry with the Danish child protection system, “They have destroyed my childhood by forcing me to be away from my mother. They tried to brainwash me against my mother. I want to tell my story to the world. I want to contact a writer.” She speaks of sleepless lonely nights and periods of endless waiting to be reunited with her mother. She even lost three years of school, “I threw tantrums, I threw things. I wanted someone to act, to help me. No one did. I just ran away when I was old enough to understand, and now I am happy with my mother”. Aya still has trouble falling asleep. She wakes up with nightmares in the middle of the night. She is studying and working in the evenings to earn pocket money. Despite having lost all those years of school she is ambitious. She wants to be a lawyer and protect the rights of other children. Maya tells me, “The worst pain was not my husband’s beating, which was of course painful, but what was worse was the separation from my children”. Sara, just shy of 13 years, is also back with her now. But the commune has not given up the case even though the girls insist that they want to live with their mother. Last year, a new report was ordered and they were again questioned by the authorities. Maya’s son, Elias, is still with a Danish foster family. He is now 15. In order to get him back, Maya underwent a “forældre kompetence undersøgelse”, which is a “test” of parenting ability. The psychologist concluded that Maya was a resourceful and compassionate parent and recommended for the boy to stay with his mother, but the commune decided otherwise. Maya has not seen him for two years and probably will not be allowed to see him until he turns 18. The commune keeps his address secret. Even telephone and email access is denied. I have listened to two audiotapes of conversation where Elias is heard crying and telling his mother that he is scared of his foster mother and that she is threatening to send him somewhere far away. He is at the moment forcefully administered ADHD medicine; controversial medication for what is also a controversial diagnosis – Attention Deficit Hyperactivity Disorder. Many experts have said that ADHD is being over-diagnosed, especially in high-spirited boys. The state child care systems in England and the USA have been criticised for over-medicating children, including with ADHD medicine. There is a suspicion that such medications, whose effects include inducing passive, quiescent behaviour, are used to suppress those children who resist and question being taken away from their families into state custody. Maya and her daughters believe that the medication is being given to control and subdue Elias…..one psychiatrist in fact refused to prescribe ADHD medication for Elias and thereafter the commune took him to another who agreed to give the prescription. Maya and her daughters believe that the medication is being given to control and subdue Elias. The papers that Maya obtained regarding his medication show that one psychiatrist in fact refused to prescribe ADHD medication for Elias and thereafter the commune took him to another who agreed to give the prescription. Though Maya still has legal custody of Elias and expressed her objection to his being medicated, this was ignored. Psychologists appear to be under pressure to write reports that match the requirements of commune which insist on removal of children. “I don’t think I will ever get to see him again”, says Maya. “The foster family has made him afraid”. Mothers coming to women’s shelter homes fleeing domestic violence are “we will take care of the children as you are too traumatised” and these women seldom get to see their children again. “You know what, these shelters for women and this child protection system for immigrant women are nothing but mafias stealing their children,” says Maya. She tells me that the authorities are especially going after single women. Mothers coming to women’s shelter homes fleeing domestic violence are told that according to the new procedures “we will take care of the children as you are too traumatised” and these women seldom get to see their children again. Maya’s years of painful separation from her children has taken its toll on her health. She is not yet 40 but has already suffered two heart attacks, barely surviving the last one. even reasons such as a two-year-old boy not speaking Danish are given for taking children from mothers. She works as a translator and interlocutor for families from Syria and other refugees who only speak Arabic. “I translate in hospitals, for the police and for those families whose children are being removed by the CPS authorities. What a paradox, isn’t it?” She says that even reasons such as a two-year-old boy not speaking Danish are given for taking children from mothers. After several hours of patient listening and fighting back my own tears, I stand at the doorstep saying goodbye. “I want to tell the whole world about this atrocity going on in Denmark, and I am ready to bring my case to the European Court of Human Rights,” are Maya’s last words before she gives me a warm handshake. “Hallo Elias, wherever you are, your mother Maya and your sisters Aya and Sara love you and miss you”. This is what I whisper to the evening sky while the sun is setting and the wind is once again cold. I sit in the car shivering, not knowing how many more mothers have lost their children in Denmark like Maya. Isn’t this a case of child abuse; of utter violation of human rights? The Danish CPS system justifies such decisions by arguing that it is done in the best interests of the child.